Winter is this|close to being over and wouldn't you know it, last week I had my first sick session of the year. Snotty nose, sore throat, congestion, headache - the whole damn shebang. But you know, I took the whole thing in stride, by creating a cocktail that I will now promote as a cure all as to excuse my day drinking. The hot toddy may be one of the most perfectly concocted winter beverage. The toddy is brilliantly simple, a lovely use of citrus, and served warm. Lemon is traditionally used to make this drink, but in my time of sickness I used what I had on hand and was delighted with the results. Combine 1 ounce bourbon, 1 tablespoon honey, 1 tablespoon clementine juice and 1 teaspoon finely chopped candied ginger in a large mug. Add 2 ounces boiling water and stir to combine. 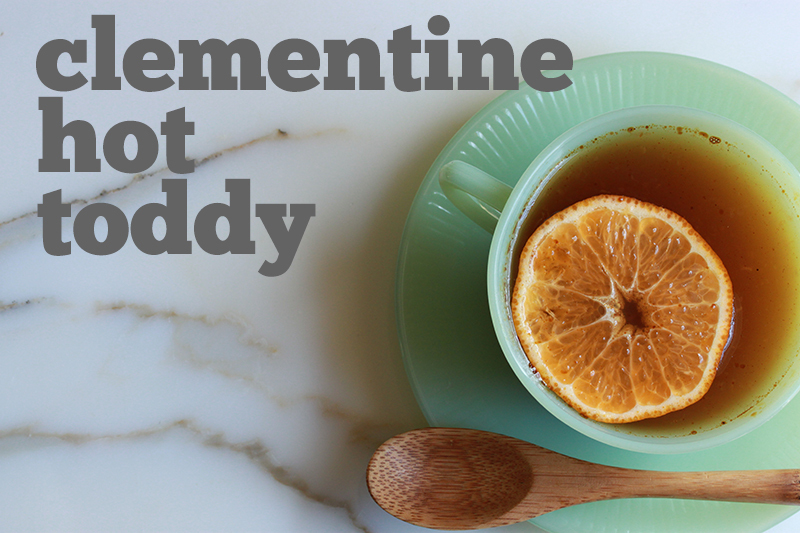 Float a slice of clementine on top of your toddy, ya know, if you're fancy. 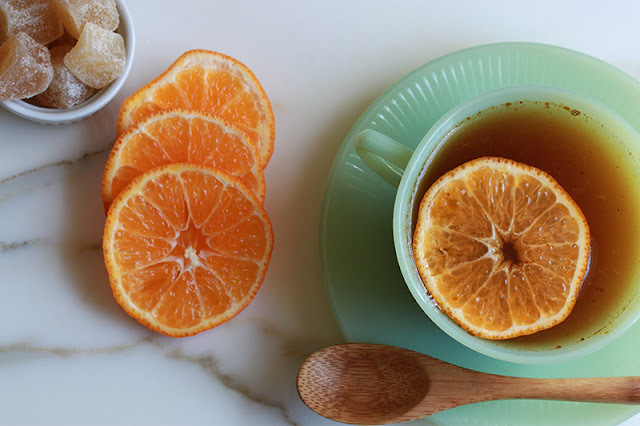 Check out this Winter Sore Throat Tea on a little life. Ashley's Hot Buttered Rum looks ridiculously delicious! Spoon Fork Bacon's Winter Spiced Old Fashioned will be in my hand this weekend. What is your favorite sick day remedy? Or do you have a favorite winter cocktail? Bourbon can cure just about anything.. I almost sure of that.. :) I have some leftover clementines and now I know what to use them for.. I loooove hot spiced cider with bourbon. It's my fav warm winter drink. Although hot toddies are definitely a close second. I have never had one with clementine or candied ginger--sounds so good. geat blog! and this toddy.. mmm a must-try! Im following you on bloglovin now :) happy thusday! Hey Miya! Thanks for stopping by and for the follow!